At Pretty Tasty we specialise in wedding cakes and we also bake corporate cakes, biscuits and macarons. We carefully design each commission together with our client to make sure the end product not only tastes fabulous, but also looks just right. 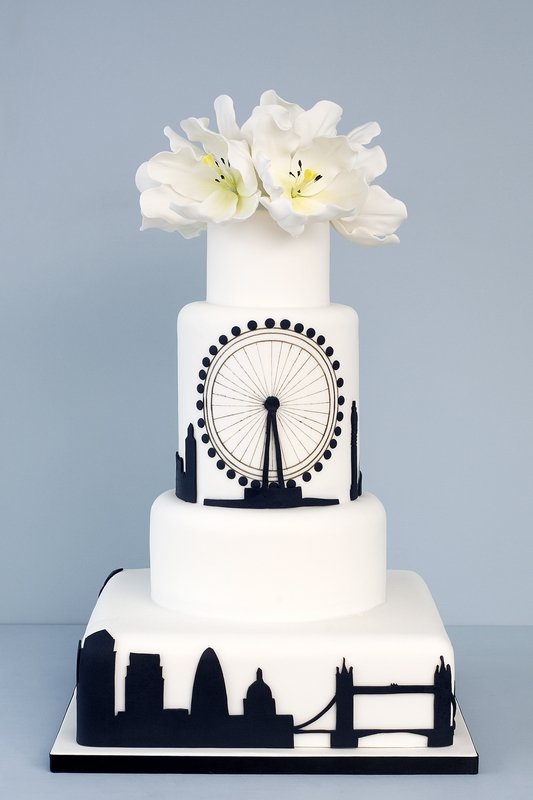 We have made anything from mini cakes at 2.5in high to huge wedding cakes up to 6 feet tall. 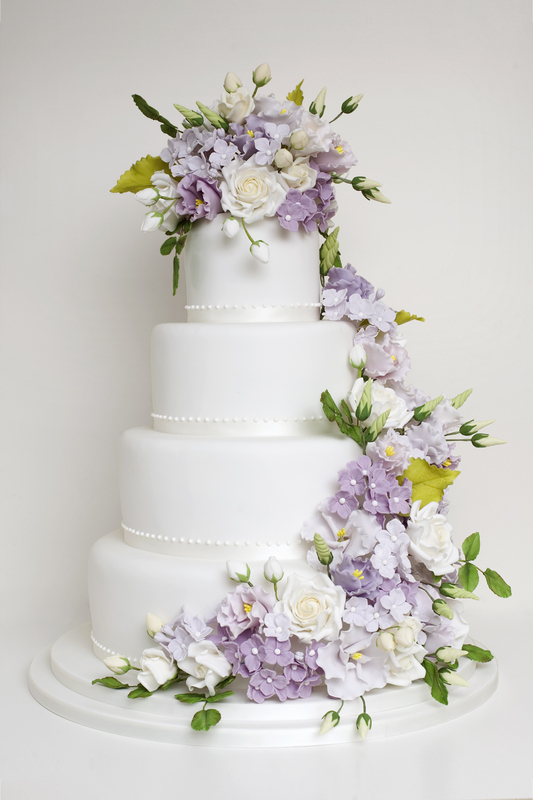 Whatever you desire, we would love to work with you to create the cake of your dreams. To date we have won three Great Taste Awards which goes to show that our cakes, biscuits and macarons really do taste as good as they look! We are based near Cambridge and our cake and macaron orders come mainly from the London and East Anglia area, but we are happy to deliver further afield. Here a selection of our wedding cakes. We like to create a bespoke design for all our clients, unless, of course, you have already fallen in love with a design of one of our cakes. To see more wedding cakes, click on the link below. Our award winning macarons are very popular and make lovely wedding favours, brightening up the tables for your guests. If you don't fancy a wedding cake at all, they can be arranged on a pyramid stand and offer your guests sweet bites of pleasure. Macarons are also a good option for your corporate event and make pretty corporate gifts and they are a welcome addition to any stylish birthday celebration. "Once again, a massive thank you to you for all your hard work in preparing and helping to display the macarons. They have been cited as the most popular sweet food item at the event, and the cone and cubes looked fantastic and drew a lot of attention on the night! I will definitely be recommending you to future committees. Our range of biscuits comprises elegant Swiss biscuits which come embossed with delicate patterns as well as colourful iced biscuits which can fit with any theme and colour scheme. The iced biscuits can be further customised with your guests' names on to make personalised place cards at your wedding. The iced biscuits are equally popular for children's birthday celebrations and they are a nice way to give your customers a branded little gift at corporate events and trade shows. 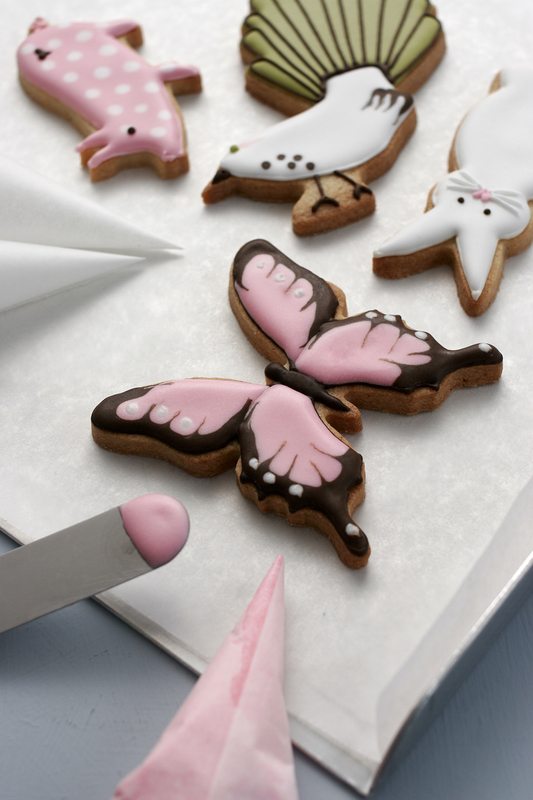 We also teach biscuit icing and a range of other skills, so why not check out our workshop page and see what you'd like to enrol on.